If you are thinking about trying to communicate with the spirits, using an Ouija board is a fairly easy way to begin your exploration. 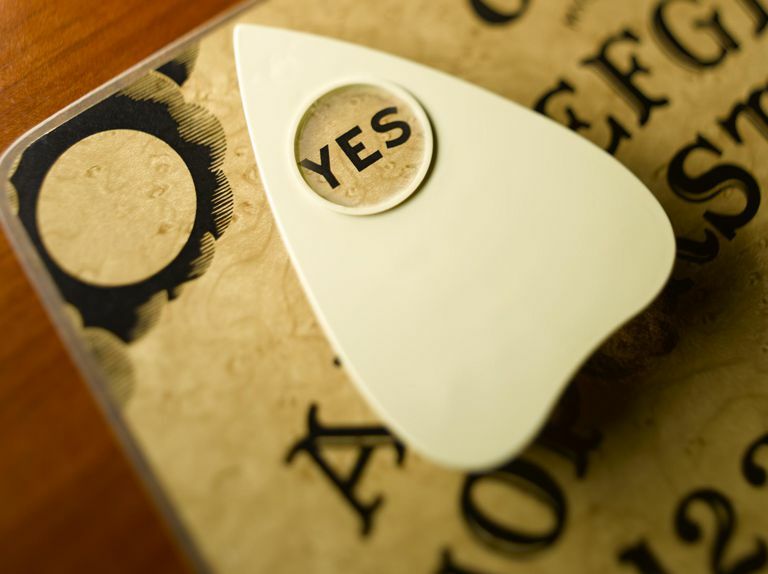 Some people are really nervous about using an Ouija or talking board for spiritual communications. There is a concern that using an Ouija board could possibly be an invitation for dark forces to enter the room. The use of Ouija or any other mediumship aid does warrant caution. Really, think about it. Do you leave your front door unlocked at all times? Or is there a neon sign out in your front lawn flashing 24/7 beckoning every stranger who walks past your street to step inside your home? Of course not! When you wish to communicate with the spirit world via the Ouija or another channel (automatic writing, visualizations, thought, etc.) it is best to be specific about "who" you are wishing to receive communications from. If you didn't like to hang around with Uncle Jimmy when he was living, then you're not likely going to be thrilled hearing from him beyond the grave either. The intention is key! Do darken the room and entice the spirits to visit by lighting candles. Do balance the board upon your knees if possible. Do warm up the board by moving the planchette in circles or figure eight pattern. Do write down the messages letter by letter. Keep in mind that spirits often misspell, use slang, or will even text speak. Do not use the Ouija board by yourself, it is best to get a buddy to assist you. Do not confuse the spirit with questions from too many people, assign one person in the room to ask questions. Do not ask questions you don't want to know the answer to such as "When am I going to die?" You're not going to get a serious answer to these types of questions. Do not ask questions you already know the answer to like "What is my middle name?" It's a seance, not a pop quiz! Do not allow the invited spirit guest to control the session, you want answers, not a lecture. Do not accept all communications as fact, discern all information given. Only accept what feels accurate in your gut. Do not be upset if your séance is a bust, sometimes spirits don't feel like talking.